A simple Hair care routine can work wonders in keeping your hair soft and silky. It requires only a correct method and yes, a lot of patience to attend the desired look. For me, my regular hair care regime is application of Henna because it is all natural and without any side effects. 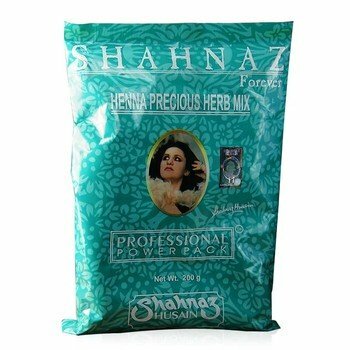 I am using the Shahnaz Hussain’s Henna Precious Herb Mix for the last 8 months and I’m quite happy with the results so far. I am here to share the natural secret of herbs and henna hair dye.The henna plant contains pigment molecules called Lawsonia. Lawsonia produces dye. Depending on the henna plant, the dye may produce varying degrees of orange or red dye. Lawsonia pigment stains keratin, the outside layers of skin and hair. As the skin naturally exfoliates, the henna is shed away. Henna stain on skin can last anywhere from days to weeks. Henna stain on hair gradually fades. It can last for as little as one month and as long as six months. The color that the henna will produce varies depending on skin color, hair color and body part. Henna appears more orange on lighter skin and hair colors and redder on darker skin and hair colors.